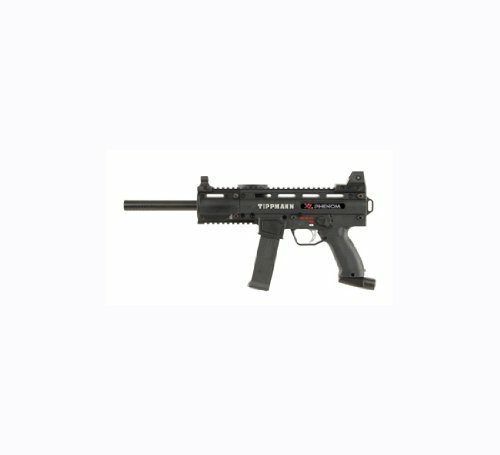 Be prepared for any paintball gun tournament or competition with accurate and efficient semi-automatic paintball guns. We bring to available great offers and deals from top brands including Tippmann and Kingman that feature adjustable shoulder stocks, raised sight rails and short pull single triggers so you can fight from a distance or in close quarters. Semi-automatic paintball guns are great for beginners and experienced players and give you full control over how fast you discharge. Awesome submachinegun looks and feel from BT! 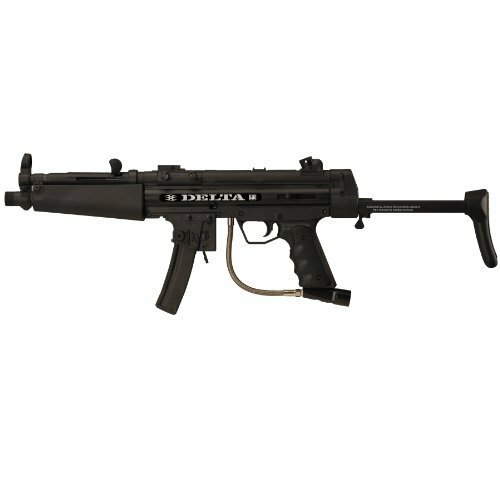 The BT Delta Tactical Paintball Marker packs performance and technical looks in to compact and reliable package. Tippmann has taken the most customizable paintball gun of all time to the next level. The X7 Phenom brings all the strength of the modular X7 platform into a more compact, efficient, and versatile design. The X7 Phenom is nearly 3 inches shorter than its predecessor, yet still accepts more than 20 of the X7’s existing mods and upgrades. The fore grip and magazine can be swapped out to provide a custom look that is unique to your marker. A redesigned cyclone feed is integrated directly into the marker and feeds up to 15 balls per second, so there’s never the need to purchase a separate hopper or replace batteries. The offset, low-profile hopper also provides a clear line of sight, and allows for mounting a scope or other accessories on the included rail systems. The new FlexValve provides increased efficiency and its Spool Valve design significantly reduces kick, resulting in improved performance and better accuracy. This means less time off the field, and more time playing. The X7 Phenom is one of the most versatile woodsball markers available. Backed by Tippmann’s 20 year reputation for quality and reliability, this marker matches rugged good looks with performance and function. The Tippmann X7 Phenom Mechanical is a Versatile Powerhouse! The X7 Phenom with FlexValve Technology is the first mechanical pneumatic paintball marker to offer the combination of improved air efficiency, superior accuracy, and the flexibility of CO2 or compressed air usage. The new FlexValve operates below 300 PSI for improved air efficiency allowing you to get over 1,400 shots from a 68 cubic inch 4500 psi tank. Also, due to its blow forward design, recoil is virtually eliminated for improved accuracy. As an added benefit, the Phenom’s searless design incorporates fewer wear parts, making maintenance easier than ever. Best of all, because this new marker is built around the existing X7 platform, the Phenom-which is nearly 3 inches shorter than the X7-can still accept more than 20 current X7 mods and upgrades, including the popular Flatline Barrel. Players have never been offered such a complete package – the performance of a tournament marker…the dependability of a mechanical marker…the durability of a Tippmann…and the ability to customize their marker with thousands of different looks. The X7 Phenom truly is in a class of its own. 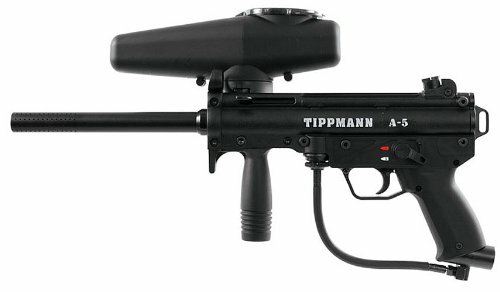 Tippmann has been setting the standard for entry level paintball guns since the beginning of time. The Tippmann 98 Platinum has to be their flagship gun as it can be seen in just about every store and paintball field in the world. This paintball gun is the field owner’s rental paintball gun of choice, as it is one of the easiest guns on the market to maintain and fix if anything does go wrong. The Tippmann 98 Custom Platinum can hold up to a beating. These guns are meant to withstand any condition – rain, sleet or snow. The Tippmann 98 Custom Platinum also has a great feel in your grip with the front handle setup away from the hosing. 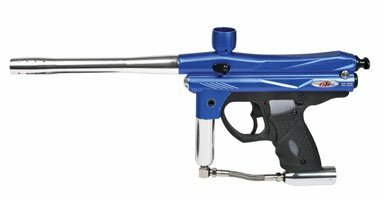 If you want a paintball gun that can stand up to any condition, takes minimal maintenance, and still shoots like a mid level gun, then the 98 Custom Platinum is the way to go. If you’re entering the paintball world for the first time and want a gun in the entry level price range that’s going to perform at par or better, than this gun’s for you. The biggest addition with Tippmann’s ACT system is the ability to break little to no paint in any condition. ACT stands for anti chop technology and essentially what it does is make it so the bolt is a lot softer when it hits the paintball causing in less ball breakage.